HOLIDAY park on Nepean Hwy at Dromana in Victoria cordoned off for three hours last night after reports of gunshot. Man, 51, arrested and charged with being prohibited person possessing firearm. 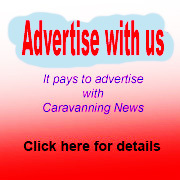 * Australia's highest priced caravan sells for over $200,000 ... 66,363 people reached. * Suncorp reports spike in caravan insurance claims ... 28,819 people reached. * New $4m caravan park planned for Hervey Bay ... 22,829 people reached. * Apollo buys Fleetwood's loss-making Coromal and Windsor operations ... 14,733 people reached. * NSW caravan rego fees slashed by 40 percent ... 13,155 people reached. * Caravan's solar panel smashes through windscreen of following car ... 10,643 people reached. CARAVAN and camping trips remain the favourite holiday option for many Australians, new figures reveal. And the latest data from Tourism Research Australia shows the popularity is continuing to grow more than ever. National overnight domestic caravan and camping nights have risen 3.5 percent to reach a record 51.3 million for the year ending March 2018. The most prominent age groups were the 30 to 54-year-olds (5.5m) and the 55-plus market (3.4m). The 20-29-year-age group saw significant growth, soaring 11 percent from the previous year to 2.1 million trips. The news comes as the caravan and camping trade industry reported that its economic value was around $4.5 billion annually. The sector comprises manufacturers, dealerships, part and accessories retailers, service and repairs businesses together with RV storage and camping equipment retailers. Additionally, the sector made up more than 21,000 full time jobs across 4300 trade businesses in Australia. 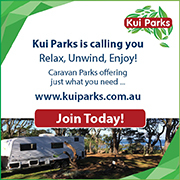 The caravan and camping sector is regarded as pivotal to Australian tourism because it disperses visitors and employment throughout Australia. The most popular activity was eating out at restaurant or cafes, which was enjoyed by more than 6 million travellers and provided economic value to many regional areas with caravan parks. ARRANGEMENTS are underway to switch the building of Coromal and Windsor caravans to a factory 4000km away. Perth-based Fleetwood has sold the "goodwill" of its loss-making two brands to Apollo Tourism and Leisure for $1 million. This follows falling sales and heavy pressure from shareholders to offload its caravan business in the face of savage discounting by other RV manufacturers in Victoria. Fleetwood, which will continue its manufactured homes operations, had for some time been pondering whether to shift operations to the east coast because of high manufacturing costs in Perth. The value of the fixed assets in its caravan business were written down to nil earlier this year after the company recorded a bigger underlying loss of $5.6 million in the December half and in the face of an oversupply of caravans nationally. 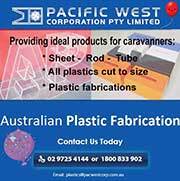 Fleetwood's caravan manufacturing facility in Perth will close this year, paving the way for Apollo to buy inventory and raw materials at discounted prices and begin building Coromal and Windsor caravans at its factory in north Brisbane. To read Fleetwood's announcement revealing the sale, click here. IT has taken an extended caravanning road trip for a young NSW family to discover that the simple things in life are the best. The Halseys are midway through a four-month adventure in their 22ft WonderlandRV Adventus bunk caravan towed by an Isuzu MU-X 2017. And with nearly 20,000km chalked up so far, Todd and Kirryn told Caravanning News: "It has reminded us that it's the simple things in life that make us the happiest and has taught us to appreciate life and each other so much more." The couple, who are travelling with their two boys ‒ Taj (5) and Jai (2) ‒ said each day of their journey brought memories that will last a lifetime. THE Australian Caravan Club's soaring membership over the past year has led to the formation of two new branches in Queensland. ACC Rainforest Ramblers has taken off with a running start in the state's far north, becoming the club's 51st branch and boasting an initial 34 members. Meanwhile, the club said its new ACC Awesome Bundy Cruisers at Bundaberg would fill a gap along the Queensland coastline. VICTORIA continued to dominate Australia's $4.5 billion caravan industry last year, accounting for almost half its total economic contribution and almost two-thirds of its manufacturing jobs. But the state's peak body for the industry admitted there was "still much to do" to raise business standards to match the expectations of "increasingly knowledgeable and sophisticated customers". The Caravan Industry Association of Victoria has welcomed a major report showing that the state is still the heartland of Australia's booming caravan industry and the national leader for every major metric. Chief executive Rob Lucas (pictured) said it led not only in jobs and economic contribution, but in revenue, the number of enterprises, value-add and payroll. GREY nomads escaping the southern states' freezing conditions are driving a frightening increase in Queensland caravan accidents, it has been revealed. New figures from Suncorp show that insurance claims from caravanners soared by a massive 94 percent in the Sunshine State during winter months, with August being the worst time for accidents. 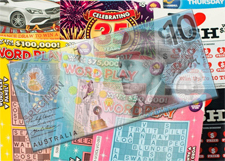 Western Australia came in second at 40 percent. Meanwhile, the number of claims plummeted by 30 percent in Victoria, the home base for many grey nomads heading north in search of the winter sunshine. A FATHER, whose daughter and her family are on a year-long round-Australia caravanning adventure has taken to the world's leading online travel site to praise Queensland's top motoring organisation for getting them out of a predicament. It appears the hapless travellers ‒ Mark and Cheryl Palmer and sons Braedyn (13) and Corbin (11) ‒ were left stranded when their tow vehicle gave up the ghost 20km out of Emerald in the Sunshine State. "They contacted the RACQ who arranged to have the car transported to a garage in Emerald, the caravan towed to a motor park, paid for six nights at the park and for a rental car for six days," Barry Campbell, from Te Anau in New Zealand, wrote on the worldwide TripAdvisor website. 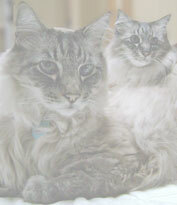 "Absolutely fabulous service. A big thumbs up to RACQ." And in an update to Caravanning News he said: "They have spent their enforced time in Emerald fossicking for gemstones ... hoping to get enough to pay for the $3500 repairs." OWNERS of Retreat caravans are preparing for a busy time ahead. More than 150 members of the Retreat Family Group will be heading for Queensland for their national caravan rally later this year. Seventy-six caravans have already been registered for the event at the Maryborough Showgrounds. But organisers Barry and Sandy Neilsen expect many more to sign up before week-long programme of activities get underway on September 10. A QUEENSLAND caravanner is working on a programme to help create a better understanding between recreational vehicle owners and truck drivers. Ken Wilson believes his Truck Friendly driver education project will help them improve their relationships when it comes to sharing the highways, rest areas and other places where the two groups come into contact. "As a caravan user myself, I have seen both sides of the argument between who is right and who is wrong in the truck verses caravan debate on our roads," Mr Wilson, who has spent two years devising his programme, told Caravanning News. AUSTRALIA'S national caravan club has called for more rest area facilities in NSW. 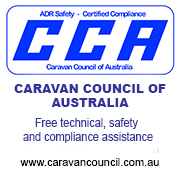 "While RVers acknowledge that truckies operate on a time schedule and must have regulatory rest stops, RVers too need fatigue management," Australian Caravan Club chairman Craig Humphrey said. While welcoming the State Government's decision to slash caravan registration fees by 40 percent, this was only one issue affecting RVers in NSW that needed attention. "The government needs to start doing something to improve not only the number of roadside rest areas, but also the allocated space available in rest areas for RVs," he said. Oz's most remote 'van repair business? TWO leading figures in Victoria’s caravan industry were recognised in the Queen’s Birthday Honours. Chairman of Prestige Jayco John Spence received the Order of Australia Medal while David Mann, the industry's radio voice, became a Member of the Order of Australia (AM). Both have a long association with the Caravan Industry Association of Victoria, the peak body for Victoria’s caravan industry. 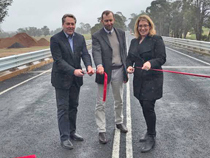 Pictured at the official opening are, from left, Mr Wilson, Boyup Brook Shire president Graham Aird and WA Minister for Transport Rita Saffioti. MAJOR UK caravan builder Bailey has decided to produce a specially-designed Australian chassis at its Melbourne factory. After the successful release of its fully Australian-designed Rangefinder and Coastal caravans, Bailey ‒ the UK's top selling caravan brand ‒ is now taking the next step in diversifying its range Down Under by assembling its UK caravans on a specially designed, Australian-made chassis in Victoria. But managing director Adrian van Geelen stressed that it was extremely important the new Aussie Pamplona remained "quintessentially British". DOMETIC has joined forces with Australia's peak caravanning body and Winnebago to promote a year-long road trip. Friends, families, mums and dads, retirees, singles and others are beng invited to share the adventure. Caravan Industry Association of Australia chief executive Stuart Lamont said the Dometic Follow the Sun Relay would showcase to the world how great it was to explore Australia on a caravan and camping adventure. Participants will be asked to share stories, videos, photos and fun moments from their trip. I THINK a lot of the angst between caravanners and truckies could be reduced. I am sure that if all caravanners were trained in the use of UHF radio and used it to talk to the truckies then everyone would benefit. 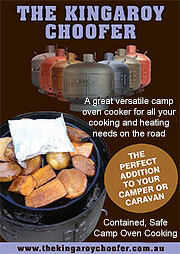 Caravanners should be encouraged to join clubs where they would gain a wealth of experience and advice from veterans. Sure, there are a few cowboys amongst the big guys. But mostly if you call them up on the UHF and invite them to go past when safe they will thank you and go rocketing past when they can. SO there's going to be an attempt on world's longest RV queue (see story here). There are enough hold-ups caused under normal driving conditions other than to have these dropkicks take part in this circus! These people should realise that they do not own the road.